We live in an exciting time where we see a resurgence in electronics as a hobby. Mass production has wiped out a generation or two of kids learning to build radios from scratch with their mom or dad. In the good old days, not sure when, you had companies like Heathkit walk you through building a full size color TV at home, for example. “Yes, I made that!” you’d proudly exclaim to yourself after hours of work. What’s causing this hobbyist resurgence? Television shows such as How it’s Made, Mythbusters and other programming on TLC. Websites such as instructables.com, hackaday.com, and specialized hobbyist blogs. Interest in RC cars, robotics, gaming, computers etc. Advent of Arduino boards, modules and free software. The whole maker movement in general. So what does this have to do with making circuit boards? Well, it’s now easy and fairly cheap to make a nice circuit board for your project without a lot of fuss. So you want to get the kids away from the TV and build a fun, blinking LED project for your kids? Gone are the days of tedious hand wiring, empty coffee cups, smoking components and unprintable words; they’re now replaced with easy online applications. In times past, I would sketch out a circuit on a raw copper board using a Sharpie pen. Then I dipped it in a bath of some nice toxic Ferric Chloride from Radio Shack and waited and waited. After a long while, you removed the board and then hand drilled the work of art. To prevent corrosion, you rubbed some silver powder on it. Finally, stuff the board and there it is. Your mom (or wife) is now furious over the stains, mess and the stink you just created. But there it is. You let out a great sigh of personal satisfaction. Fast forward to post-dinosaur times. There are several good choices for a free schematic and circuit board design program. I prefer Eagle. Lots of hobbyists and pros use it so there are lots of free designs and tutorials available. The free version is somewhat limited but very useful for smaller work. What’s nice is that if you like this as a hobby, you can progress to the “pro” version. Next you will have to find a “board house” to make the boards. 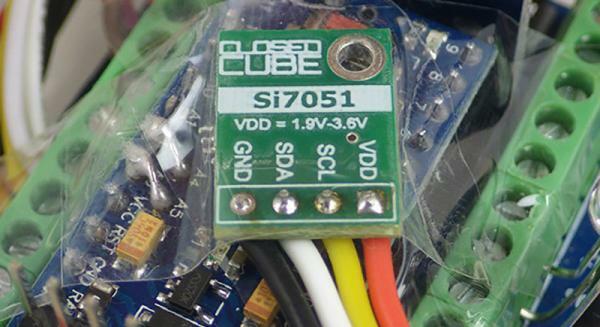 The author of this article is a good place to start for a free quote – San Francisco Circuits. 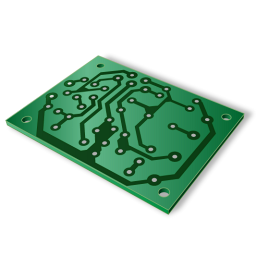 SFCircuits is a full service PCB fabrication and PCB assembly provider from hobbyist to military grade work with some helpful tutorials in the PCB School section. Who knows – you just might go from blinking LED project one day to a nice ICBM with them. Impress the neighbors? Once you have a board on its way, consider it time for buying assembly parts from Digikey or Mouser. They are great distributors and cater to hobbyists with smaller quantities with good pricing. It’s so much better than Radio Shack which carries less and less useful components lately. However, you must be careful buying integrated circuits, resistors, capacitors, etc. online as they come in a dizzying array of sizes.